British authorities are keeping silent on the mysterious death of a Secret Intelligence Service (MI6) employee, whose body was found in the bath of his London apartment, stuffed in a sports duffle bag. By Monday afternoon, when police entered the top apartment of the five-storey townhouse in Pimlico, London, the man had been laying dead for nearly a fortnight. On Wednesday, he was identified as Dr. Gareth Williams, a 31-year-old mathematician employed by General Communications Headquarters (GCHQ), the British government’s foremost communications security and surveillance agency. For the past year, Williams had been temporarily transferred to MI6, the country’s external intelligence agency, whose headquarters is located less than a mile from the apartment where the mathematician’s body was discovered. Judging by the absence of any signs of forced entry into the apartment, it would seem that Williams knew and voluntarily let into his residence the person or persons who later killed him. A still bigger mystery is the quasi-ritualistic arrangement of the victim’s cell phone, along with an extensive collection of subscriber identity module (SIM) cards on a bedroom table. Early rumors that Williams had been repeatedly stabbed were later refuted by unnamed sources close to the investigation. The same sources told British media that, although the cause of Williams’ death remained unclear, “[t]he suggestion there is terrorism or national security links to this case is pretty low down the list of probabilities”. 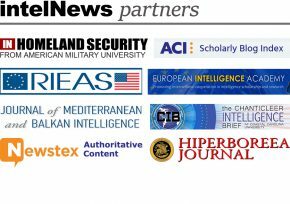 Expert news and commentary on intelligence, espionage, spies and spying, by Dr. Joseph Fitsanakis and Ian Allen. They ruled out suicide pretty quickly when they saw his body was stuffed itno a bag.